Situlpahuwa, also spelt Sithulpahuwa or Sithulpawwa, is situated 18 km east of the pilgrimage site Kataragama amidst the jungles of Yala National Park. Situlpahuwa is definitely a sight to see for those travellers in southern Sri Lanka who are interested in historical sites. Sithulpahuwa, often referred to as Chitthala Pabbhata in the ancient chronicles, was a major monastery of the southern region then called Rohana. 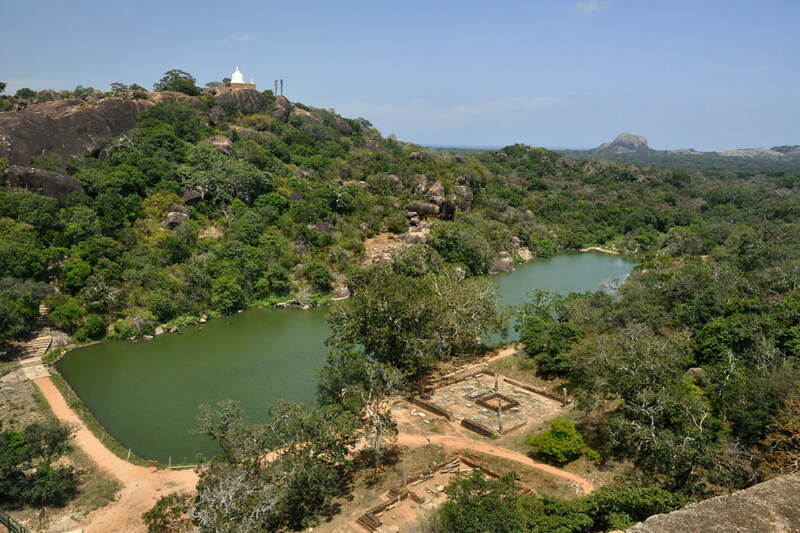 Situlpahuwa is a highly likeable archaeological site due to the natural setting in between two neighbouring rocky ridges, which can be climbed and offer perfect views to the surrounding wilderness of Yala. Situlpahuwa has excavated temples as well as monastic caves and also some remarkable ancient statues and inscriptions. It’s not an unknown place off the beaten path. Nevertheless, the lovely site not yet overcrowded. That’s why a visit of this multifaceted and picturesque archaeological site can be highly recommended to guests who spend a night or two in the areas of Kataragama or Tissamaharama or Kirinda Beach.